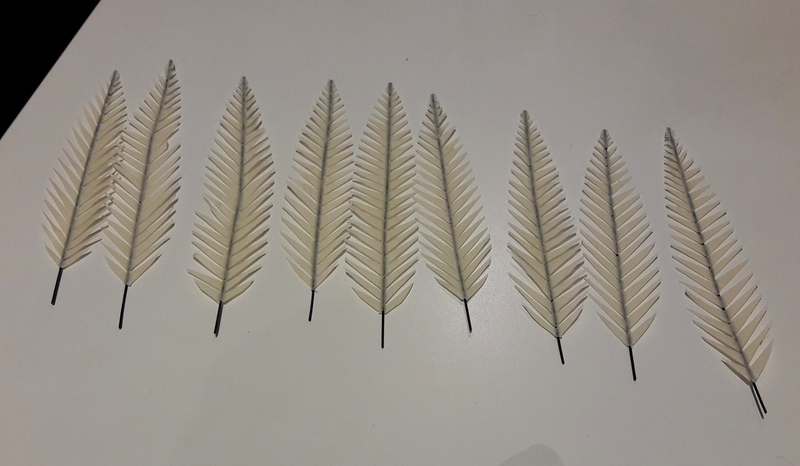 A week overseas attending a conference so evenings with little to do in hotel room so I brought a small bag of cut wire, masking tape and a pair of scissors. You guessed it. 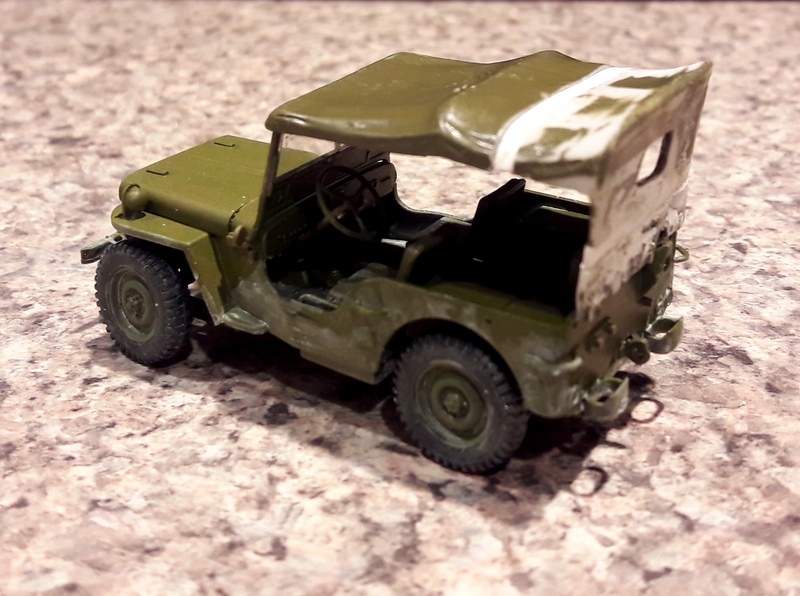 Another Jeep is nearing completion. This one will be fitted with an after market canopy which fitted perfectly after I added 1mm in the back and 2mm to the top. 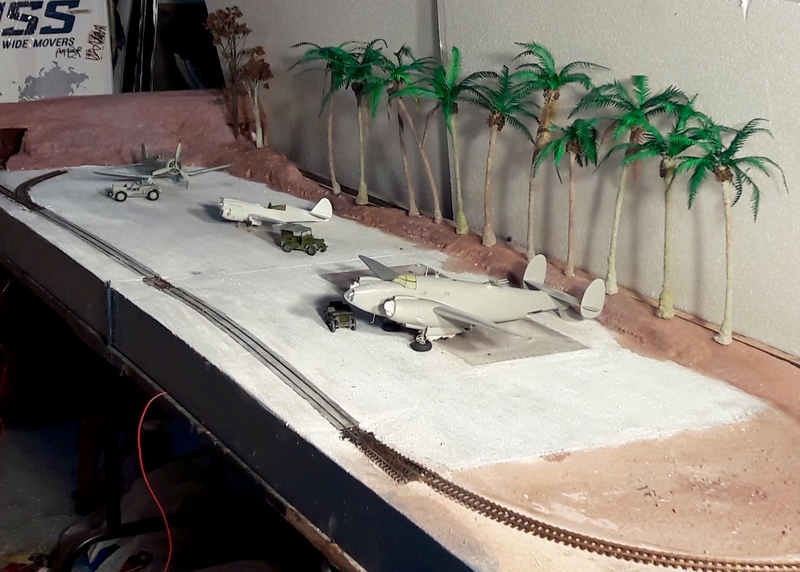 Under the baseboards progress has been made adding electric spaghetti to get the railway running while the tracks are being covered to allow aircraft to taxi over them. Progress in a whole range of areas. That is looking great! Well done! Not much progress due to overseas work travel but I was able to pick up this kit for just $34-00. 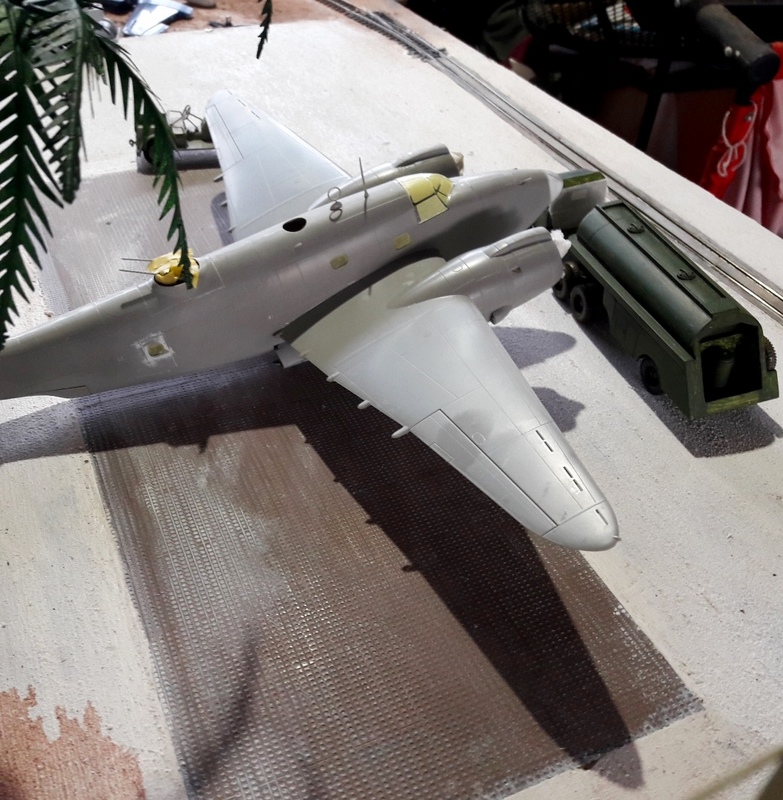 It will be finished in a what if RNZAF colour scheme as NZ was hoping to acquire B-25 but received Ventura instead. Its amazing what you can find on the internet if you search long enough. The winch is for the front of the International tractor unit. 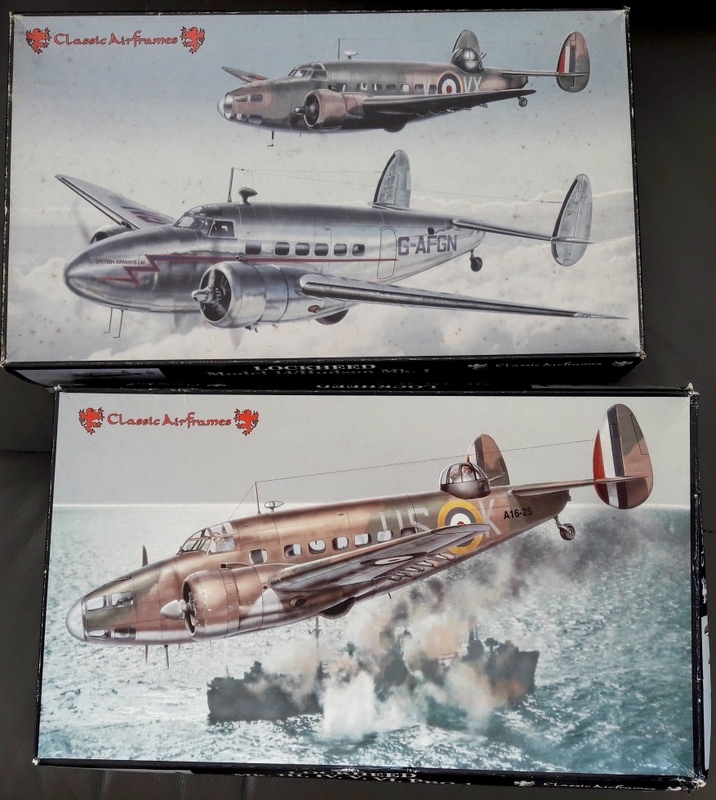 I was lucky enough to score a second hand Hudson 1 with just a damaged prop on Ebay for very reasonable price so now I will be able to build both bomber recon and transport versions. 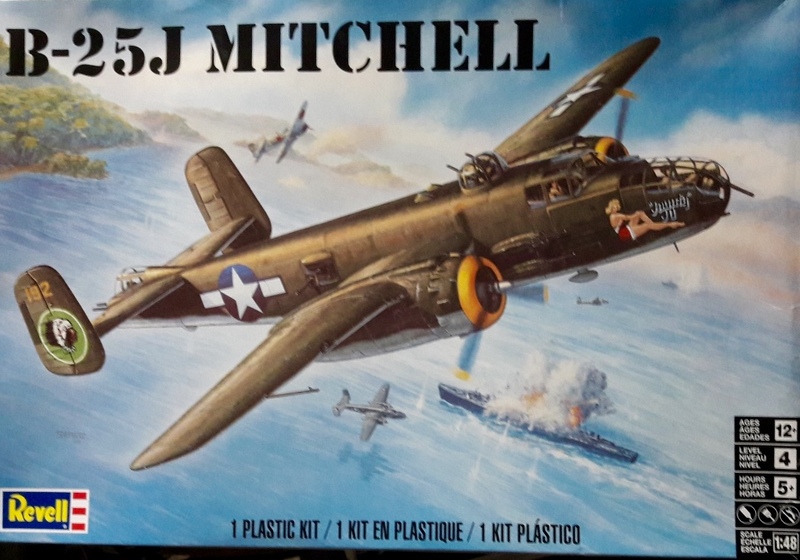 Yeah but Classic Airframes Hudson kits at reasonable price (less than 50% of Mk III) are so rare I had to grab the Mk 1. 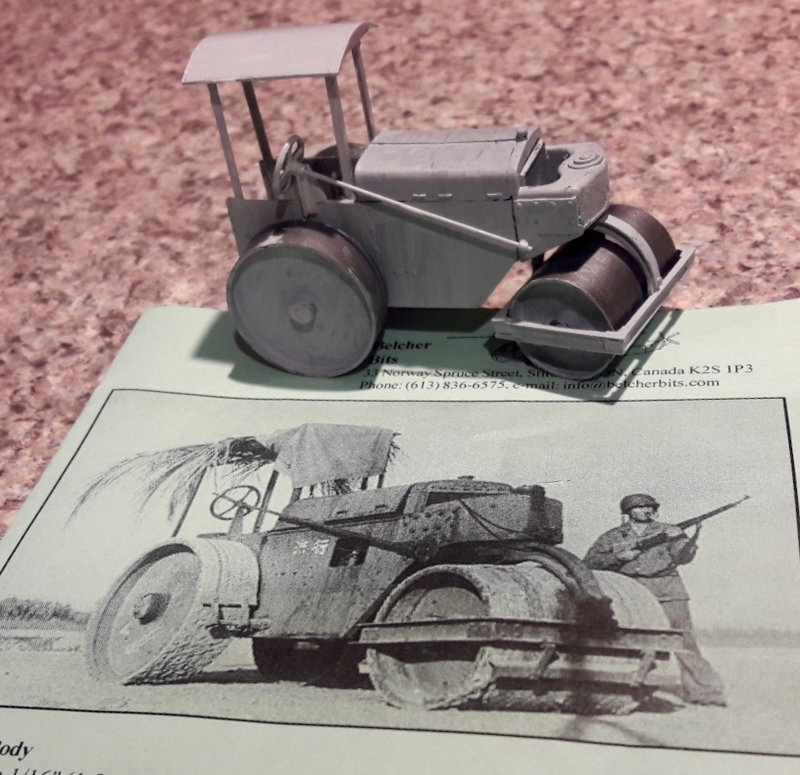 I just did a quick comparison of the kits and only obvious difference so far is the engine exhausts and air scoop. I'm sure there will be more. Two evenings to put this Japanese plane killer together. I think the photo shows one that was found at the unfinished Japanese airfield on Guadalcanal. 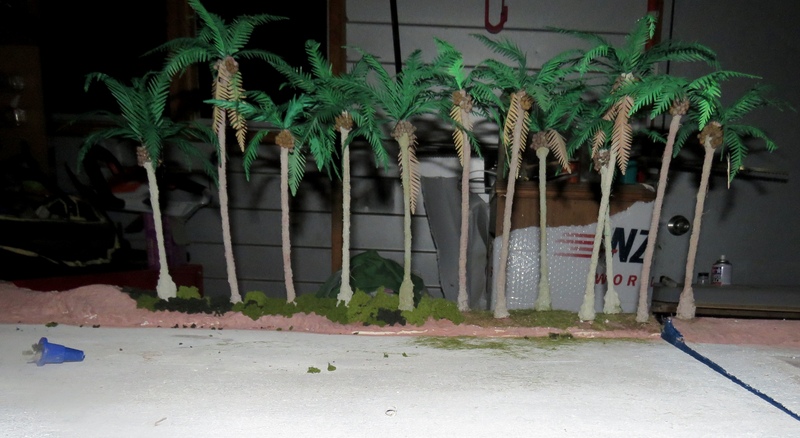 I spent an hour working on the below baseboard wiring for the model railway part of the diorama today. Nearly ready to run a loco around both sections of the baseboard. 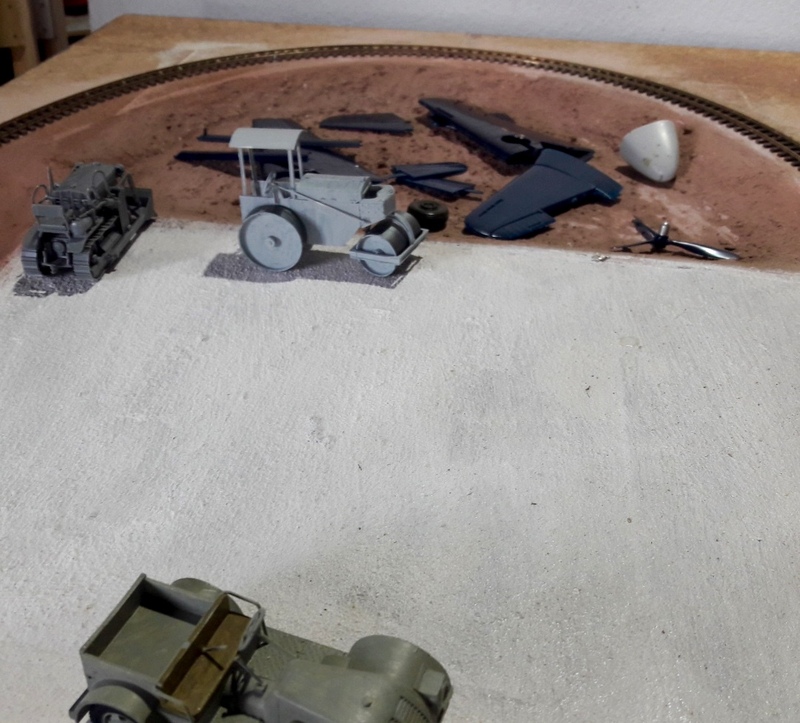 I've finished the railway wiring and trains can now run right around the complete loop so I got the baseboards back on the table and trying a few options for locations with my phone camera. Duty vehicles at the tower. I'm collecting lots of parts to fill up the scrap dump. 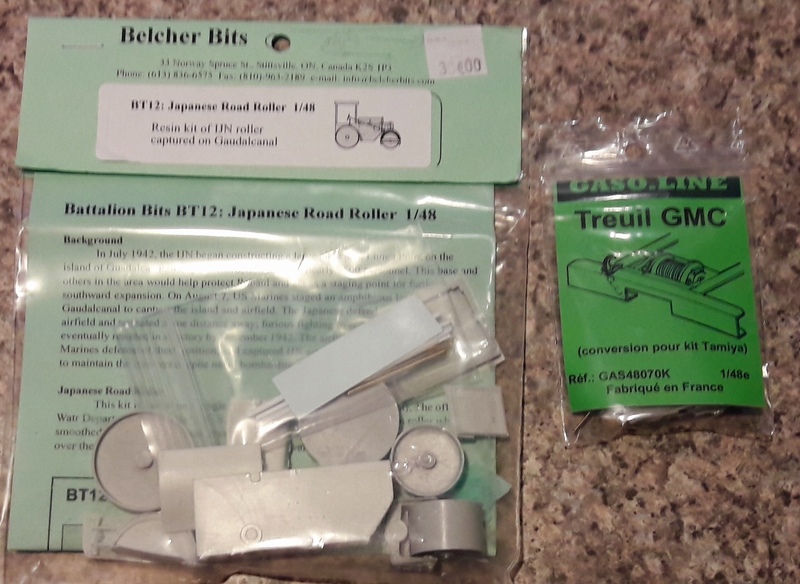 So far parts from Dauntless, Avenger, Dakota and Hudson along with a couple of Japanese construction vehilces. 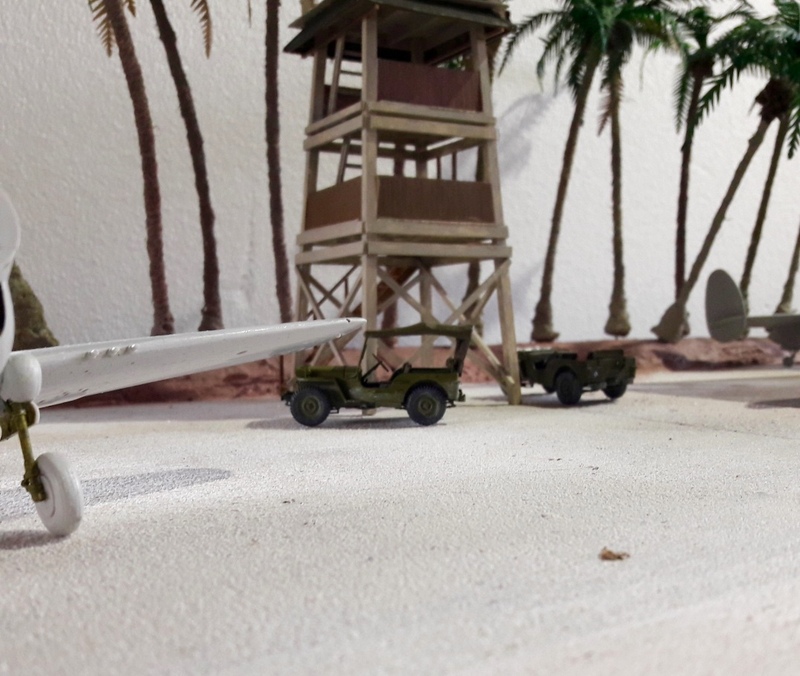 I was thinking of this diorama while rewatching this fantastic coloured footage of Seabees, US Corsairs and RNZAF Warhawks. It might held inspire you? Fabulous thanks for the link. As it was colour it was especially helpful. 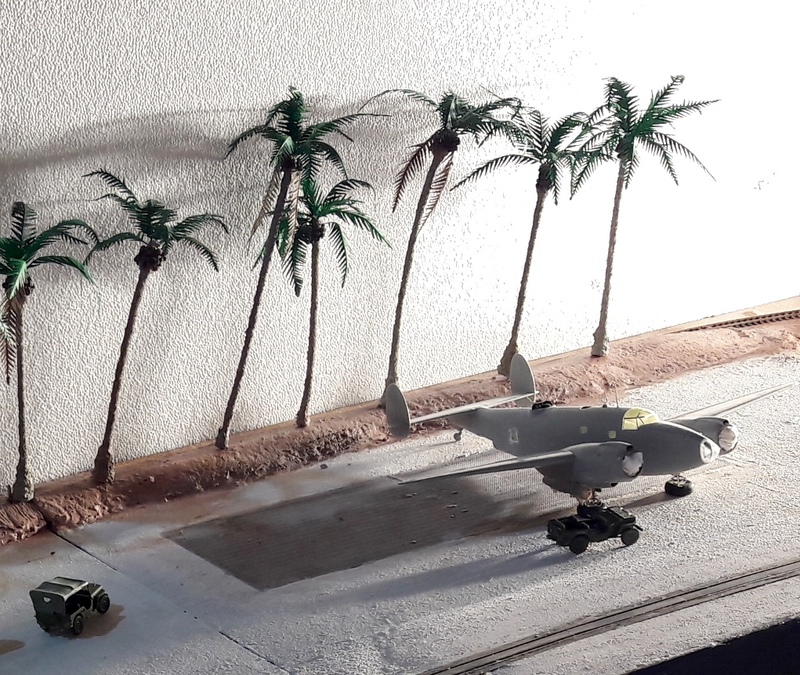 I've just started 'planting' coconut trees on one baseboard and the film confirmed what typical ground cover under coconut trees was like. A quick photo just using a flash.